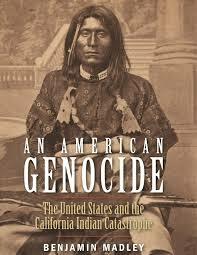 The HSU Library, along with Campus Dialogue on Race, the Native American Studies Department, and other campus partners brought An American Genocide: The United States and the California Indian Catastrophe author Benjamin Madley to Humboldt State University November 2nd and 3rd. Thank you to those providing funding and support: Campus Dialogue on Race, Centers for Academic Excellence, College of eLearning and Extended Education, College of Professional Studies, English Department, History Department, ITEPP, Joyce Lopes, Native American Studies Department, Sofia Pereira, RISS, University Library. For more information, see the Campus Dialogue on Race website and please share this poster.